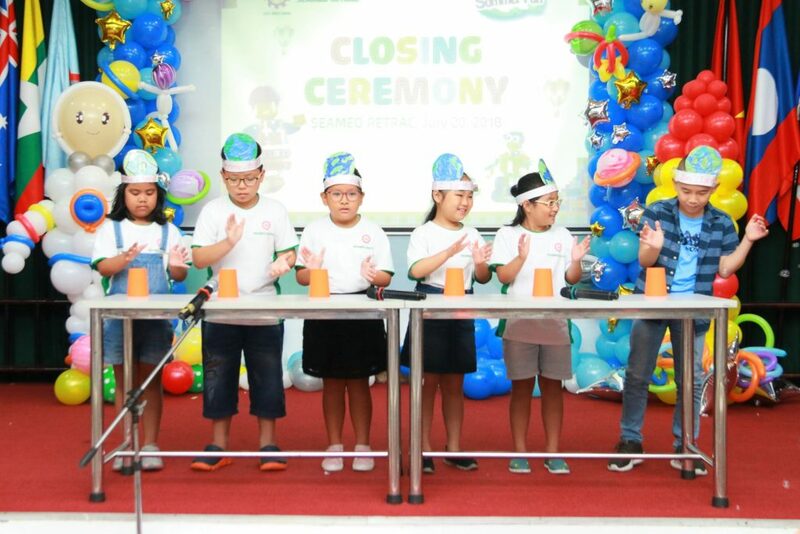 On July 20 2018, the Closing Ceremony of Summer Fun 2018 was successfully celebrated by Kiddy Programs – SEAMEO RETRAC with the participation of nearly 200 students, parents, Summer Fun instructors and Kiddy programs staff. During the ceremony, students have a great number of opportunities to enjoy or participate in some great musical and artistic performances which they had learned from teachers including music and dances, storytelling, playacting, fashion shows and knowledge quizzes. 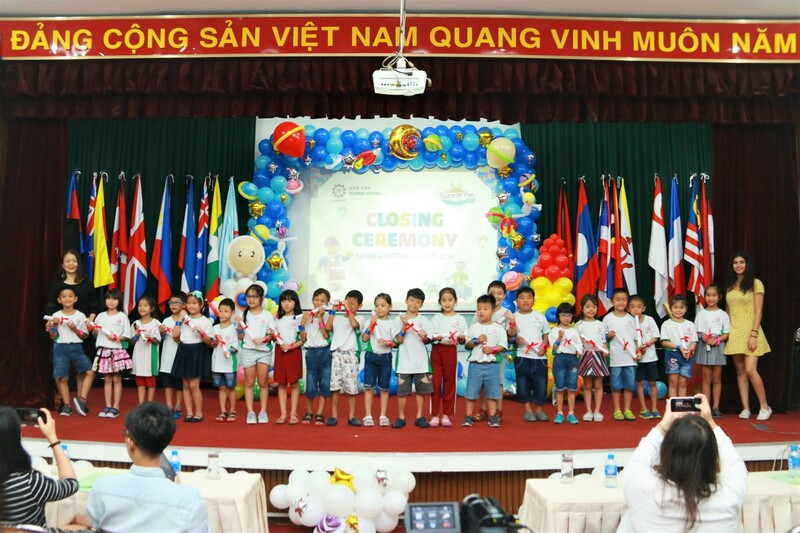 Thanks to these performances, parents could easily understand what their children had been taught by Queens College, CUNY instructors, and more importantly, how their English skills had been improved after a six week Summer Fun course. 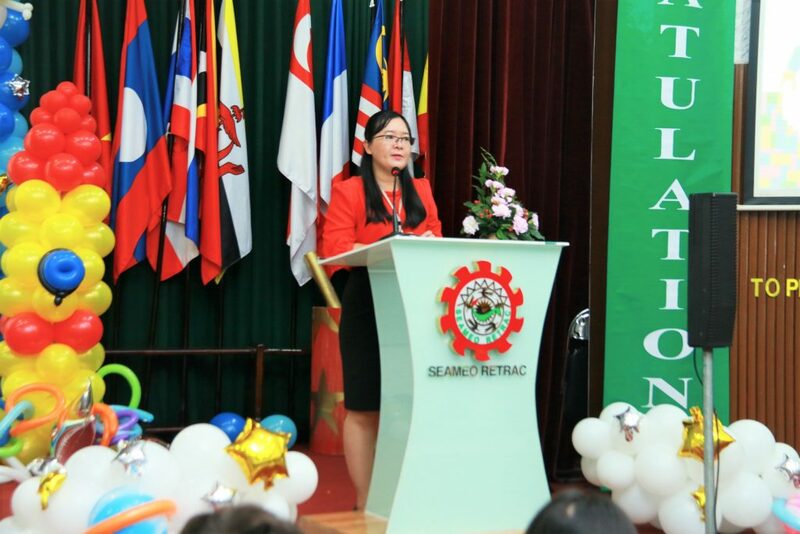 Additionally, each student was granted with a certificate of course completion by SEAMEO RETRAC and Queens College, New York, USA and could take lots of photos with her teachers and friends. The ceremony successfully ended with laughters and numberous applauses, and it would be most memorable moment for students this summer time.